It is becoming more and more common for Occupational Therapists to include pets in their therapy sessions. Studies have shown the use of pets (dogs, cats, fish, and horses) can be very beneficial in treating for several conditions or diagnoses. The simple acts of observing a fish swim or petting a dog can have a great impact on patients who have anxiety and high blood pressure. For some patients who have a difficult time with social settings, having interactions with a pet may ease the mood and help them feel more comfortable when doing therapeutic activities due to the presence of acceptance and affection. Incorporating pets in therapy may not always be the right way to go. You must always consider whether it will be a good experience for the patient. Keep in mind that if someone has a traumatic past with an animal, fear or paranoia with certain animals, it may create more anxiety and be a negative experience for the patient. The last thing to keep in mind is if the patient has any allergies to animals because that may also cause a negative experience. If you are considering incorporating pets with your child’s therapy, always run it be their therapist first to see if they feel it would be a great fit, especially to make sure it will help with the goals they are working towards. 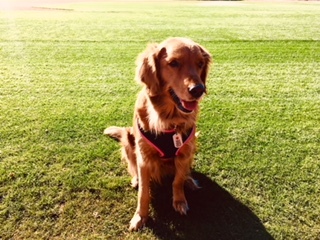 Sonoran Sun Pediatric Therapy has partnered with someone who can bring in a therapy dog for patients as needed! Ask us for more information. If you think your child might have hearing loss or even if your child has been diagnosed with hearing loss, parents often don’t know what to do. Speak with your pediatrician to come up with a plan for your child if they have any type of hearing loss. Seeing an audiologist and a Speech-Language Pathologist should help you through that decision-making process. A Speech-Language Pathologist can help your child with their language skills to communicate. The key is early intervention with hearing loss. A child with mild hearing loss may not be hearing certain sounds in the English language. Whether it is through sign language, cued speech, oral communication or a mixture, communication is key for living with hearing loss. Seeing a Speech-Language Pathologist on a weekly basis can provide support for your child and teach your child speech and listening skills. Even if your child has a IEP with in the school system and is receiving help in school, seeing a Speech-Language Pathologists one-on-one will provide your child with tools to communicate. A Speech-Language Pathologist will work on helping your child expand their vocabulary. They will work on exercises that help them learn the individual sounds of each letter in a word and how to pronounce the word. Speech-Language Pathologists also work on visual cues to help listen in situations that can be helpful for a hard-of-hearing child. Having a child with hearing loss can be frustrating and concerning, but with a plan and proper help your child can learn to communicate and be successful in everyday activities. Does your child become frustrated when you correct his or her speech? If so, would you like to try a technique other than direct correction? When corrected, some children become really frustrated and will say “Never mind” or “That’s what I said!”. You can try what is called “Indirect Correction” to help your child and avoid some of the frustration! With direct correction, you let your child know that what they have said is not clear or grammatically complete. For example, with direct correction, if your child says “I like tars” you say, “No they are not ‘tars’ they are “cars”. With direct correction, if your child says “Her is my friend”, you say “No, it is not ‘her’, it is ‘she’”. Although direct correction provides instruction, it can make children feel like their message is not being listened to and they are being criticized when they attempt to communicate. With indirect correction, you conversationally repeat back what your child has said, with correct use of grammar and pronunciation. This way, your child is able to hear the correct way to say something, without interrupting the flow of conversation and causing frustration. This article will now give examples of indirect correction for articulation and indirect correction for language. With indirect correction of articulation, you can repeat back conversationally what your child has said but without the articulation errors. For example, if your child says “The wabbit is wunning”, you can repeat it back conversationally with “Yes, the rabbit is running”, placing emphasis on the “R” sound. If your child says “I wanna rea the cah in the hah”, you can say “Great, I love to read the Cat in the Hat!”, with emphasis on the final consonants. By doing this you are acknowledging your child’s statement, giving them a chance to let you know if you did not understand them, and you are modelling the correct pronunciation. With indirect correction of language, you can repeat back conversationally what your child has said with correct grammar. For example, if your child says “Her running”, you can repeat it back conversationally with “Yes, she is running.”, with emphasis on the words “she” and “is”. If your child says “I falled down”, you can repeat it back conversationally with “Uh-oh, you fell down.”, with emphasis on the word “fell”. This acknowledges your child’s statement and what your child wants you to know without interrupting the flow of conversation, while helping your child hear correct grammar. Although direct correction can be useful, especially during speech and language homework practice time, it can be overwhelming when used frequently during conversation. If your child is becoming frustrated by direct correction during conversation, you might want to give indirect correction a try! A new app created by the CDC (Centers for Disease Control and Prevention) called Milestone Tracker makes it easier to keep track of how your child is developing from ages 2 months through 5 years, a very critical period of development! This app is available for both Apple and Android and is absolutely FREE! You choose your child’s age and it goes through a few skills that he/she is expected to have achieved. Your answers are then summarized into a list that you can email yourself or even show your doctor/therapist if you have any concerns. The app also gives tips and activities that are appropriate to your child’s age to continue to support development. You can review milestones in specific developmental areas including: Social/Emotional, Language/Communication, Movement/Physical, and Cognitive (learning, thinking, problem-solving). A bonus: you can add multiple children to the app to track all of their milestones separately as well as track appointments, such as doctor visits. As always, if you have any concerns for your child’s development, you should speak with his/her primary healthcare provider and/or therapist right away. If it is determined by the evaluating therapist that the patient would benefit from ongoing therapy, the next step would be scheduling the patient for ongoing therapy. As previously mentioned in our prior blog post, due to therapist’s schedule and availability, the evaluating therapist may not always be the therapist who treats the patient. It is not uncommon for this to happen, and if it does, the treating therapist/assistant will be given a copy of the patient’s evaluation and plan of care. This way the treating therapist/assistant knows what the patient’s plan of care and goals are, in addition to how to set up for the patient’s sessions. While the OT completes the initial evaluation, both Occupational Therapists (OT) & Certified Occupational Therapy Assistants (COTA) are licensed and trained to provide ongoing therapy. The same goes for Speech, while the SLP completes the initial evaluation, both Speech Language Pathologist (SLP) & Speech Language Pathologist Assisant (SLPA) are licensed and trained to provide ongoing therapy. 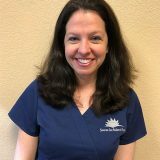 Sonoran Sun Pediatric Therapy is truly blessed to have amazing, knowledgeable, kind, and caring therapist and assistants to meet any patient’s needs. Please don’t hesitate to reach out to us with any questions or concerns regarding scheduling ongoing therapy. The Evaluation Process can be an exciting time for a patient. Exciting for them to get to experience a new place and meet new people, exciting for their parents/guardians to know that they will be able to get answers to questions and help if needed. This process can be little confusing though with all the moving parts and questions you may have regarding your concerns, scheduling, insurance, etc. 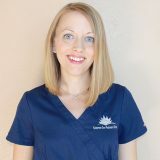 Hopefully this blog post will be able to answer some of your questions and get you excited for your evaluation at Sonoran Sun Therapy. Sonoran Sun Pediatric Therapy offers Speech Therapy, Feeding Therapy, and Occupational Therapy. All disciplines have specific evaluation protocols they follow and standardized assessments they can administer. During the Evaluation process the patient and their parents/guardians will come back to the evaluating therapist’s treatment room. The evaluating therapist may have toys and/or materials laid out in their room that will be utilized during the evaluation process. The evaluating therapist may decide to use a combination of standardized and unstandardized assessments during this evaluation process. During the evaluation, the evaluating therapist will probably be taking notes regarding the patient’s abilities. This information along with the parents/ guardians concerns and standardized & unstandardized assessments will be analyzed at the end of the patient’s evaluation and typed up into an evaluation report. The evaluation report gives information regarding the patient’s current abilities, any concerns regarding the patient’s abilities, in addition to the plan of care and goals for the patient. Once the evaluation report is complete, the report is submitted to the patient’s parents/guardians, patient’s doctor, treating therapist, and patient’s insurance company if needed. It is important to note that evaluations are not like typical treatment sessions. Evaluations require the patient to do more sitting, and completion of test materials. Patient’s ongoing sessions will incorporate play, exploration, movement, problem solving, and will be more fun. The evaluation is simply a way for the evaluating therapist to collect data to come up with a plan of care and goals for the patient. Once the evaluation is complete, if the patient would benefit from therapy the evaluating therapist will make that recommendation and will have the patient’s parents/guardians discuss scheduling with the office staff. It is important to note that due to scheduling and therapist availability, the evaluating therapist may not always be the therapist who treats the patient. It is not uncommon for this to happen, and if it does, the treating therapist/ assistant will be given a copy of the patient’s evaluation and plan of care, so the treating therapist/assistant know how to set up for the patient’s sessions. A screening is simply when a Therapist or Assistant will observe a patient, ask clarifying questions to the parents/guardians, answer any questions the parents/guardians may have, and determine whether the patient would benefit from a formal Evaluation and ongoing therapy. The screening process if FREE and usually takes 10-15 minutes. Think of a screening as a FREE “pre-evaluation” and determination of whether the patient requires ongoing therapy or whether the Therapist or Assistant may be able to make some suggestions to the parents/guardians to help with their concerns. It is also possible that a current patient receiving therapy may be recommended for a screening by another discipline of therapy. For example, a Speech Therapist may notice that one of their patients potentially has some sensory concerns and may recommend the patient receive a Free Occupational Therapy Screening. If this happens, this is nothing to be alarmed or concerned about. This simply means that the patient’s therapist wants to make sure the patient has all the tools they need for success, and that the patient may benefit from guidance or therapy from another discipline. Since Screenings are FREE, they do not require any insurance authorization. You can simply call or email Sonoran Sun Pediatric Therapy to schedule a screening with which discipline you think the patient may benefit from. Not sure what discipline the patient may benefit from? Then simply give us a call and we’ll steer you in the right direction. While there are some differences between an Occupational Therapist (OT) and a Certified Occupational Therapy Assistant (COTA) there are much more similarities. OT’s and COTA’s work together as a team to make sure that a patient receives the best possible care and is provided with the tools to help them meet their goals and engage in meaningful occupations. OT’s are required to have a Master’s Degree, and COTA’s are required to have an Associate’s Degree. OT’s are involved in the process of evaluating a patient, establishing a plan of care, and setting goals for a patient. COTA’s take the information the OT gathered from the evaluation then plan and implement the patient’s treatment sessions in addition to working with patients on achieving their goals. OT’s and COTA’s work as a team to make sure every patient gets the help they need. Both OT’s & COTA’s are extensively trained and able to work with patients with all types of diagnoses and from different backgrounds. Both OT’s & COTA’s have attended a college, university, or institute and have received a degree as an OT or COTA. Both OT’s & COTA’s are trained and have received an education in working with the pediatric population. Both OT’s & COTA’s are trained and have received an education in working with diagnoses specific to the pediatric population. Both OT’s & COTA’s have to be licensed as an OT or COTA by the state they are working in (verifying they have graduated from an accredited program, have passed their board exam, and are in good legal standing). Both OT’s & COTA’s are required to attend continuing education classes to continue to learn about the pediatric population and to maintain their licensure. Pediatric Occupational Therapist help infants and children reach their maximum potential to live life to the fullest! A child’s occupation consitist of a variety of everyday activities. These activities include playing, learning, getting dressed, self care and interacting with others. Occupational therapy helps children to be independent and successful in everyday activities. Listed below are some of the areas that an occupational therapist can help children. Cognition relates to how the brain thinks, processes and learns. Some specific areas of cognition include attention, sequencing activities, time management, memory, problem solving, following directions, and decision making. Social Skills are important for children to learn in order to relate and communicate with their peers, teachers, siblings and parents. Self-Care is the ability to take care of one’s self. For example, dressing one’s self, bathing, teeth brushing, feeding themself and being able to button or zip a jacket. Sensory Processing involves how a person perceives information from their senses, such as sight, taste, touch, and sound. A great example of this is when a child dislikes wearing certain clothes because of the way the clothing feels. Coordination for a child is important for all areas of life. There are different types of coordination, including fine motor, gross motor and motor planning. Visual Motor Integration involves the coordination of the child’s body movements and visual skills. For example, using scissors, catching a ball or tying their shoes. Strength is an important component for children in order to successfully accomplish everyday activities. Some children become fatigued quickly when performing simple task like handwriting. If you think your child may need help with any of these areas, occupational therapy can be very helpful for your child’s development. Exploration of objects via the mouth is a typical part of development and for infants it is crucial for their oral motor and sensory development. However, as we age the amount of oral exploration and input we need typically decreases. Our oral sensory system does many things; it helps us identify temperature, taste (sweet, bitter, sour, salty, savory), and texture (smooth, hard, crunchy, mixed…). It plays a role in our food preferences, calming/regulating abilities, speech sounds, teeth brushing, and other areas of our daily lives. Additionally, our muscles and joints of our mouth and jaw can send a large amount of Proprioceptive to our brains. Proprioceptive input can play a key role in helping our bodies and brains regulate, attend, focus, and process other information. Children’s oral sensory needs can vary from seeking to avoiding to mixed; however, today we are going to look broadly at the oral seeker and simple ways to incorporate more oral input at home. Straws (coffee straws, cups with straws, thick milkshake straws, crazy straws, you name it), these easy to add suction tubes are great ways to allow a child to utilize many muscles of their mouth to drink. **the thicker the beverage (think smoothie, applesauce or yogurt consistency) or the smaller the straw opening (think coffee straw) the more work the mouth has to do to pull it through the straw thus the heavier work they will require and input that will be sent to the brain. Chewy tubes or chewlery, these allow children an appropriate way to channel their NEED to chew verses chewing on objects, shirts, clothes, and other things. Vibrating toys or toothbrushes, these allow for increased input and stimulation (it can be as easy as incorporating a vibrating toothbrush into their morning and evening teeth brushing time or having a toy or z-vibe that provides the vibration and chewable surface). Use the mouth during activities (blow up balloons, blow bubbles, make silly/exaggerated faces, whistles/harmonicas/kazoos, hum, make sounds with the mouth, and use those muscles in different ways). And last but not least, know that oral sensory input is a typical way many of us regulate, focus or attend we do it to differing degrees (we all know the person that ALWAYS chews gum, or snacks while they study, or bites their pens/pencils, etc.). Find what works and is an appropriate method of receiving effective and safe input for your child. If you have kids that overstuff their mouth at the table or seems to gravitate toward only crunchy or chewy foods, you can work on strategically providing increased oral input prior to mealtimes to stimulate, alert, and “feed” the mouth with sensory input. Also, make sure you talk with your friendly Occupational Therapist or Feeding Therapist so they can individualize and more accurately provide additional strategies and education.